Daily Express Inc. - Daily Express Inc.
A keystone is defined as the central wedge-shaped stone of an arch that locks its parts together. It is also defined as the central supporting element of the whole. Safety is the keystone of Daily Express' operation, and is the central premise which arches over our company and locks our actions together. It is the central idea which supports the success of the entire company. Simply stated, safety is the critical factor from the planning stages of a move until the cargo is unloaded at the destination. From the design and maintenance of our specialized equipment, to the selection and training of our elite group of drivers, safety is the guiding factor in everything we do. Shippers call Daily Express because they know they will be engaging a transportation company with an unparalleled reputation for safety, and the knowledge base that comes with 80+ years of experience. Every department at Daily Express is part of our Safety Task Force. Whether it is a driver or an accounting clerk, whether it be a dispatcher or a permit technician, every person and every function at Daily Express has a responsibility to ensure that our company remains at the forefront of safety. Every metric designed to measure the performance of a department at Daily Express has a healthy safety component built in. As an authorized self-insured carrier, Daily Express stakes the profitability of our company on our outstanding safety record. Our safety performance and financial stability is continually monitored by the Federal Motor Carrier Safety Administration, and we have never failed to pass through this intense scrutiny with flying colors. Daily Express is a company that was born and bred in Pennsylvania, the Keystone State. For over 80 years we have excelled using Safety as our Keystone. 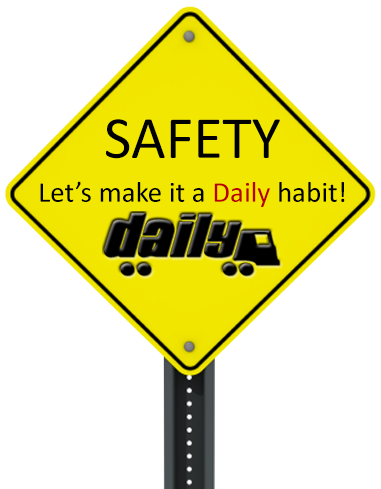 It is the philosophy of the management of Daily Express, Inc. to provide the best and safest transportation possible to our customers. Awards and Accolades given to Daily Express, Inc.